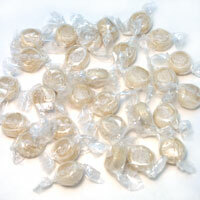 YumEarth organic hard candies!All your favorite fruit flavors in one magical mix! Mix may include: pomegranate pucker, mango tango, strawberry smash, perfectly peach, wet-face watermelon, very verycherry. Ingredients: Organic cane sugar, organic brown rice syrup, citric acid, natural flavors, ascorbic acid, colored with concentrate (carrot, blackcurrant), turmeric (color), organic annatto (color). From the package: Made in a peanut-free facility. Made with no soy, no egg, no dairy, no tree nuts, no peanuts. No high fructosse corn syrup. Citric acid is from cassava root. 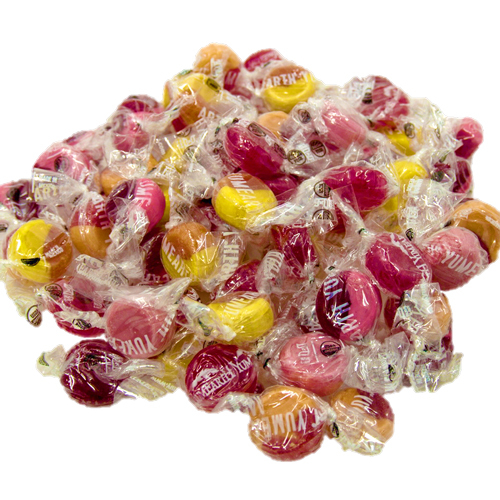 About 66 candy drops per 1/2 lb, about 260 drops per 2 lb, & 665 drops per 5lb. The people in my office LOVE these! I do, too. 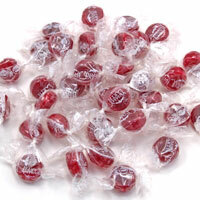 I'm not a fan of hard candy, but these little ones taste so good!